Anyone who has read my post on Go Raw L.I.F.E. Center knows how much I love their Sunbutter Smoothies (www.thefussyfork.com/go-raw-life-center/). I could drink one every day. In fact, while I was on the Go Raw six day meal plan that is exactly what I did. I have missed them. Last week when I was grocery shopping, I saw sunflower butter on sale. 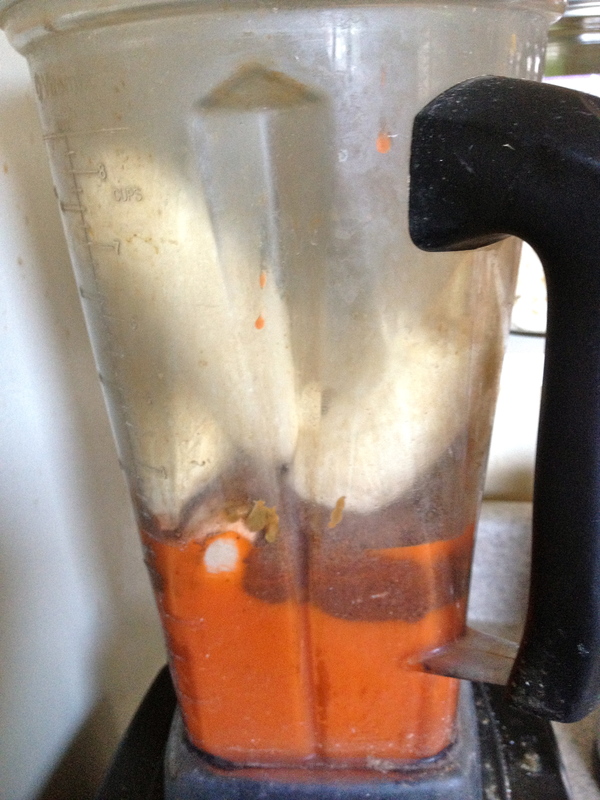 It made me wonder if I could re-create this delicious smoothie in my own kitchen. I assembled the required ingredients in my basket on faith. 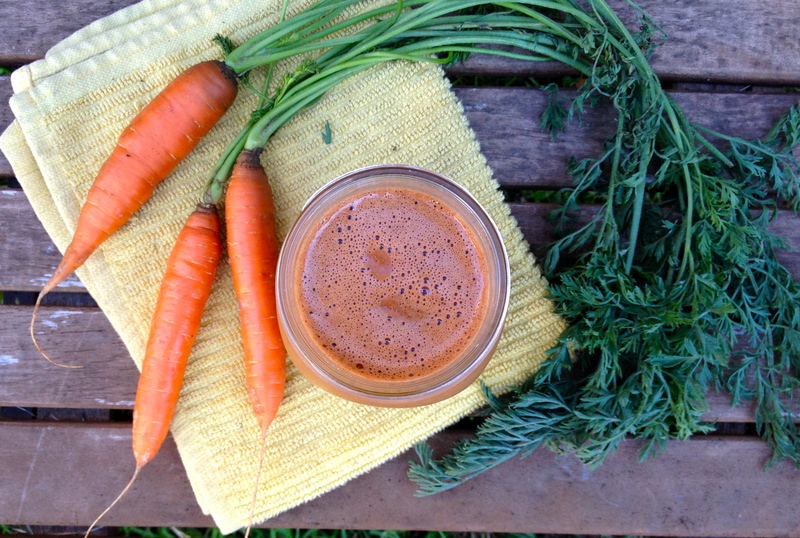 After all, who would guess that carrot juice and cacao powder would compliment each other? If you’ve never seen sunflower butter, it can be found on Amazon! Smoothies taste best cold. The easiest way to chill a smoothie is of course to add ice. However, this also has the undesired effect of diluting the smoothie. Enter frozen bananas. (1) Unpeel the bananas. It is extremely difficult to take the peel off of a frozen banana. (2) Break the banana in half. Whole, frozen bananas can be unwieldy. 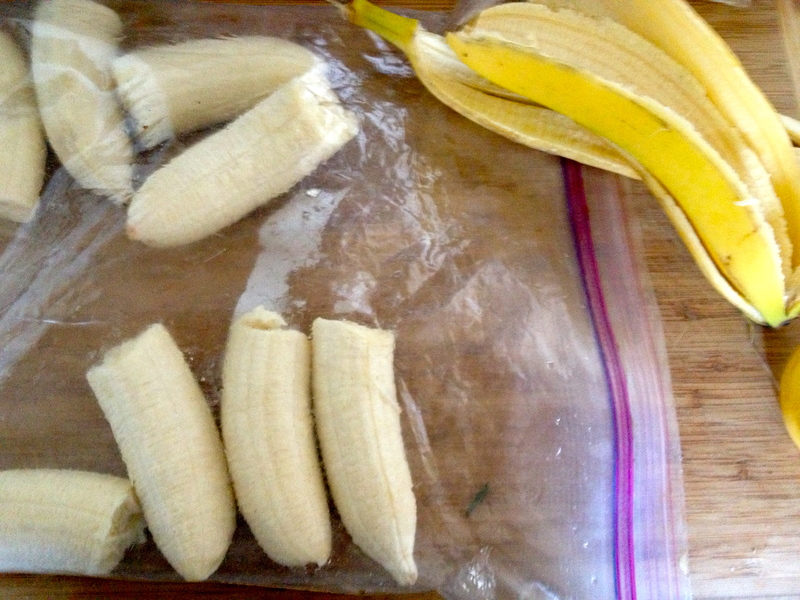 (3) Store bananas in a Ziploc bag. They will keep indefinitely. I won’t say that the compilation of ingredients in my blender looked pretty (or that my blender couldn’t use a good scrubbing!) but that is often the case with smoothies. The final product is more than the sum of its parts. 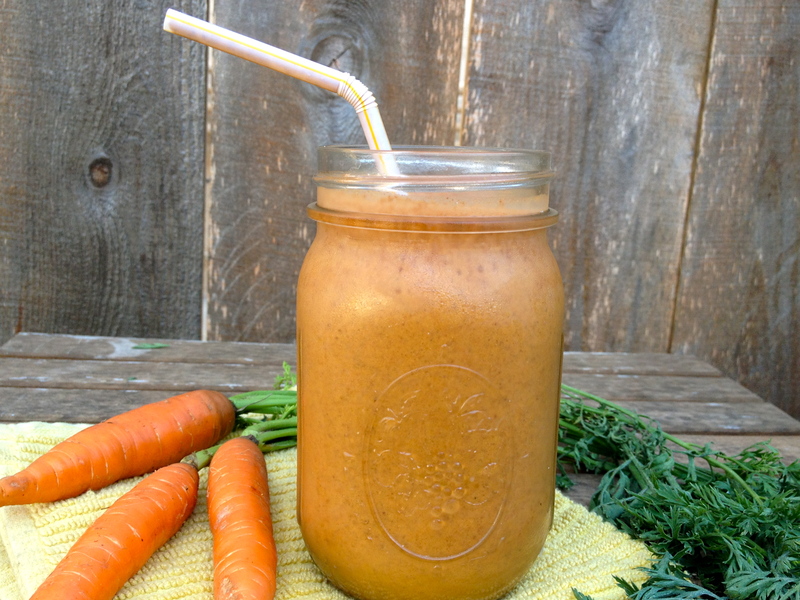 The resulting rich and sweet smoothie is decadent with a milkshake like consistency. 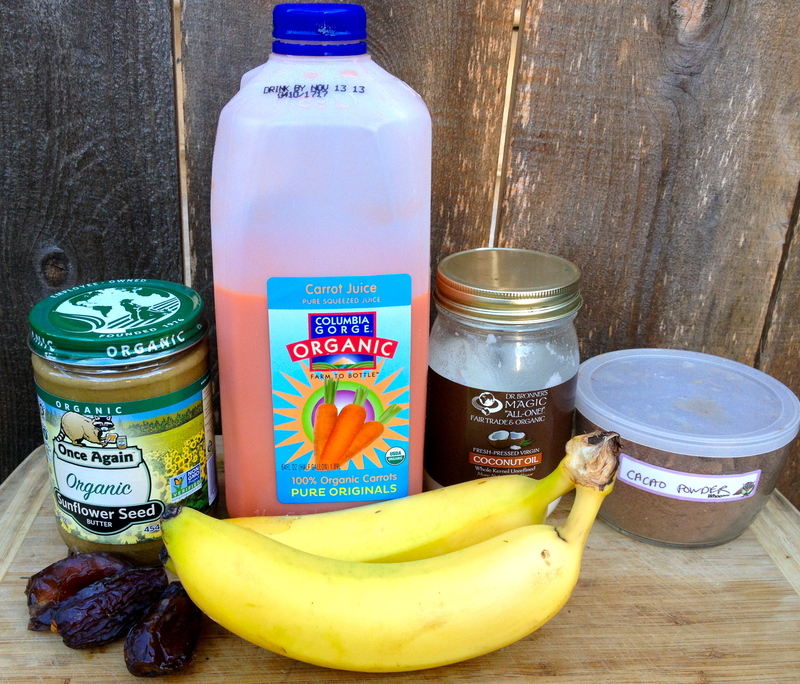 Quite simply, this is the best smoothie I have ever made. I hope you enjoy it as much I have!